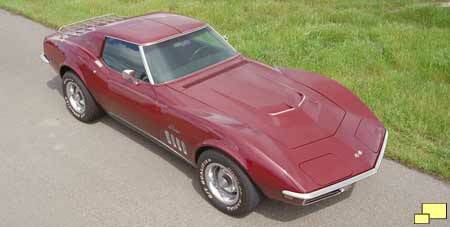 1969 Corvette: Official GM Photo. 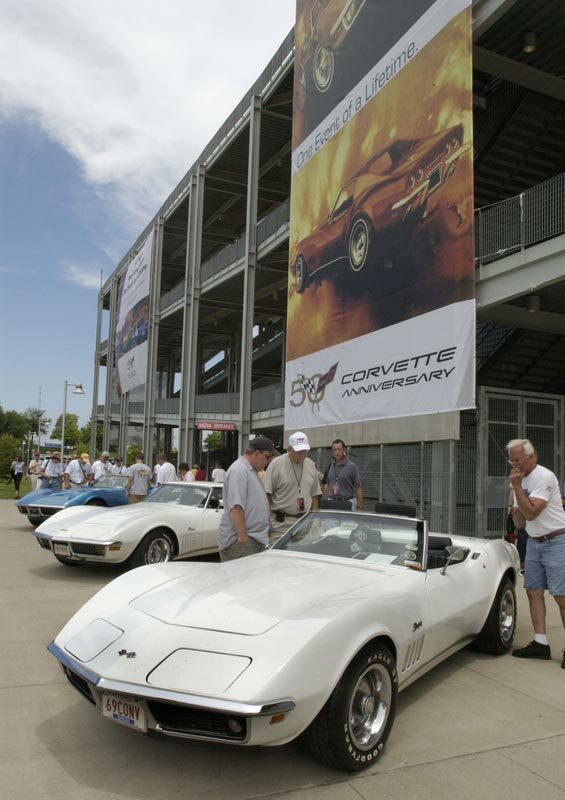 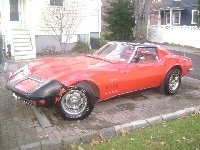 1969 Corvette convertible with vinyl covered (RPO C08; $57.95) hardtop (RPO C07; $252.80). 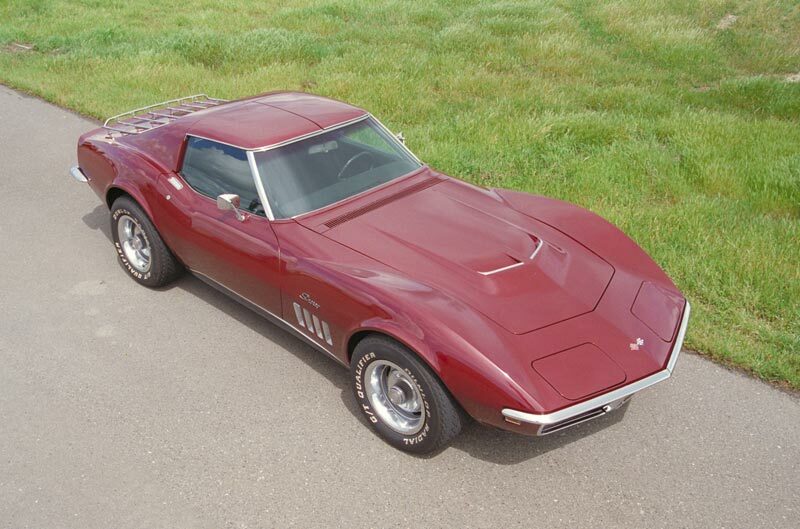 Aspiring musicians who were used to carrying their gear with the mid years Corvette coupes were in for a shock when the C3 generation appeared. 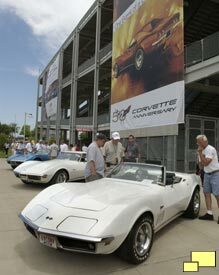 Cargo volume did a nose dive; an area where nice sized amplifiers once occupied was now suitable for not much more than a tambourine. 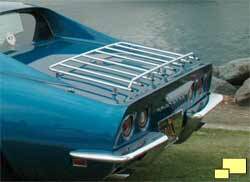 The solution for many owners was a aftermarket luggage rack. 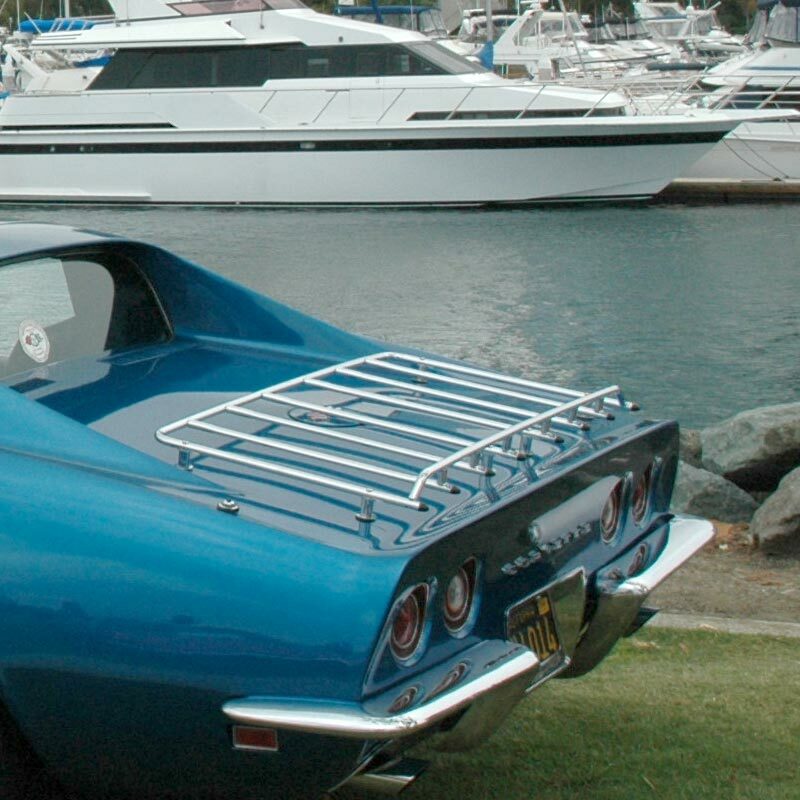 While it may not have done much for the aesthetics or aerodynamics of the Corvette, it made sense for road trips. 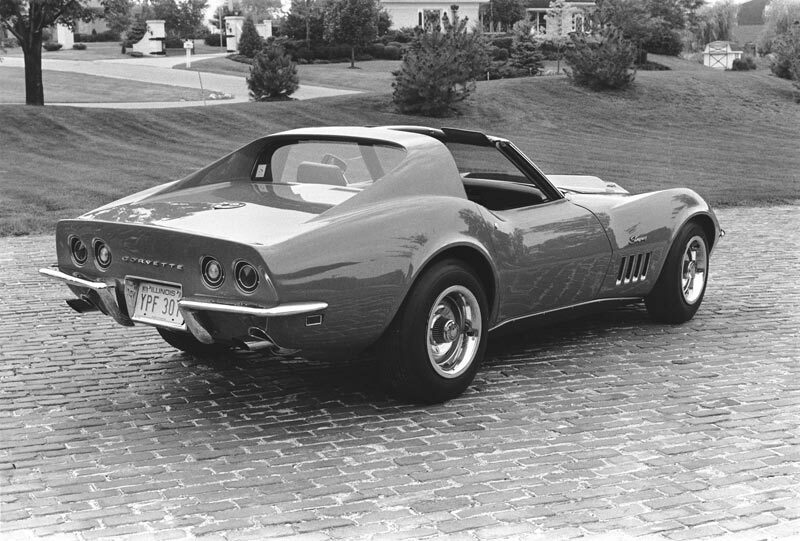 The side exhaust, which had been an integral part of the Corvette "bad boy" image since 1965, went on hiatus for 1968 but returned in 1969 (RPO N14; $147.45). 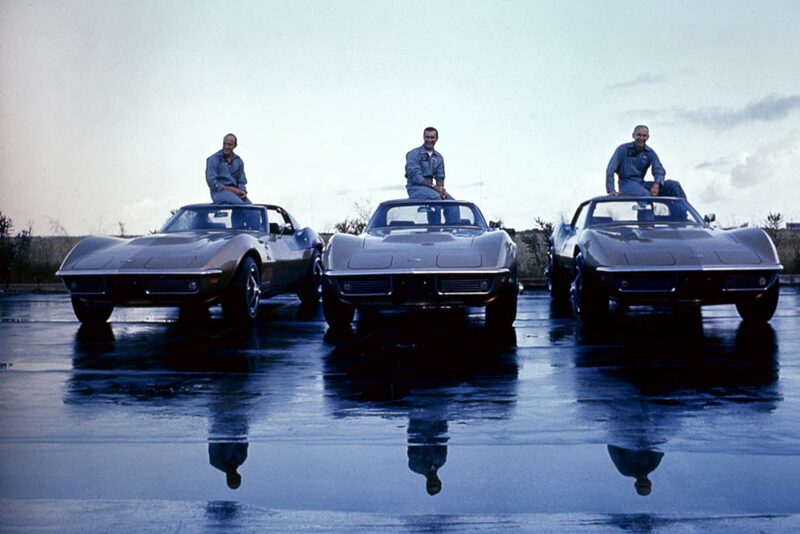 Apollo 12 astronauts (L-R) Charles 'Pete' Conrad Jr., Richard Francis Gordon Jr., and Alan LaVern Bean with their identical 1969 Corvette Stingray coupes. 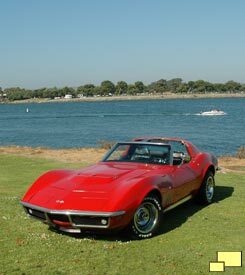 The coupes featured a 390 horsepower, 427 L36 V8 engines and black-accented Riverside Gold color scheme designed by Bean. 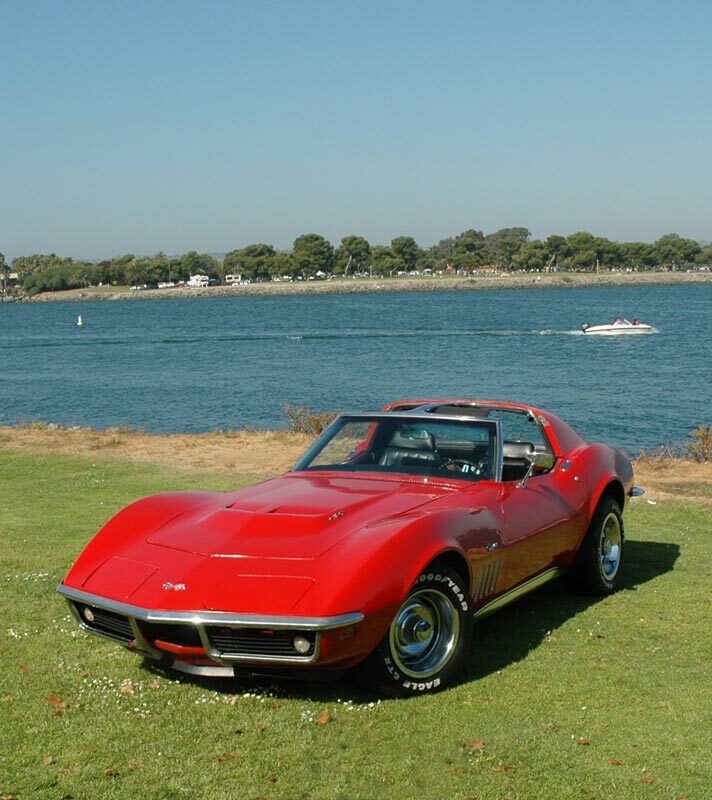 Location: Cocoa Beach, Florida September 23, 1969.